An energy efficient solar home to keep your costs in check! 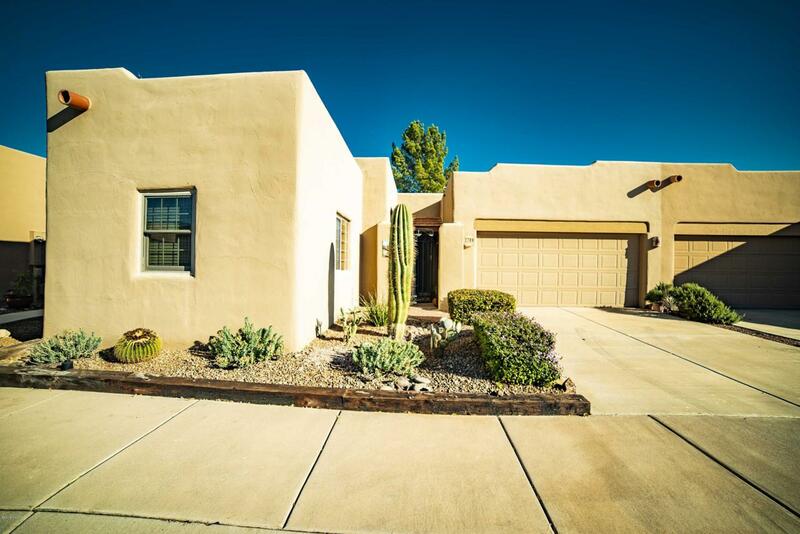 Stepped parapet roof lines, protruding clay pipes and desert landscaping offers a southwest feeling. You'll love the simple compact design of this home with its comfy great room segmented by an angled pony wall. 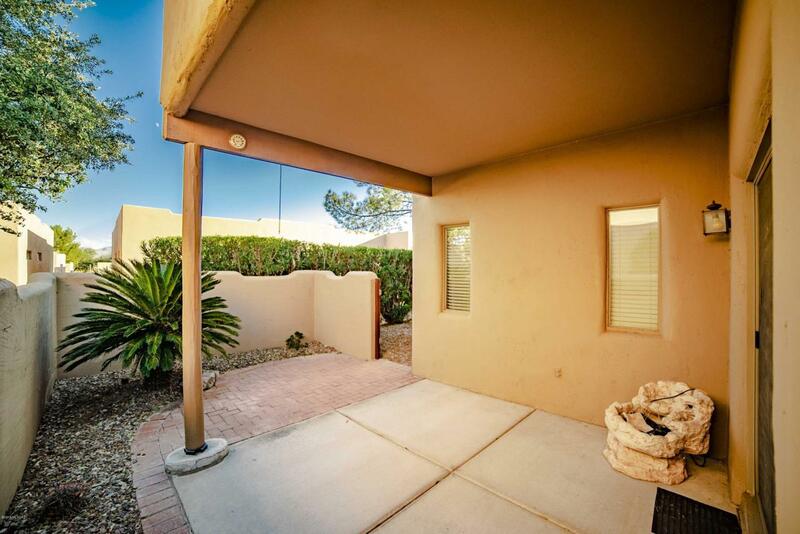 Diagonal floor tile and desert tan colors deliver contemporary warmth while the roomy dining area presents views of the back patio through glass patio doors. You'll have plenty of space in this efficient kitchen with abundant counter space, a raised serving bar and 2 large pantries. With enough room for a business work center, your master bedroom suite flows nicely into the master bath with a walk-in dressing closet directly across. Your guest bedroom features a sunny window box with a cozy sitting bench flanked byhis and hers mirrored closets. Slip away to your back-patio sanctuary where the red brick extension is surrounded by greenery granting privacy and plenty of room for relaxation and dining. 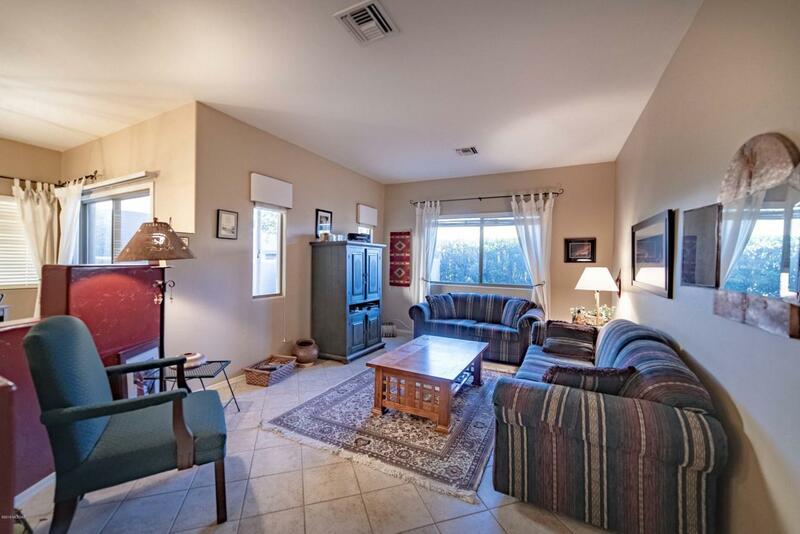 This home is also being offered completely furnished if you'd like. 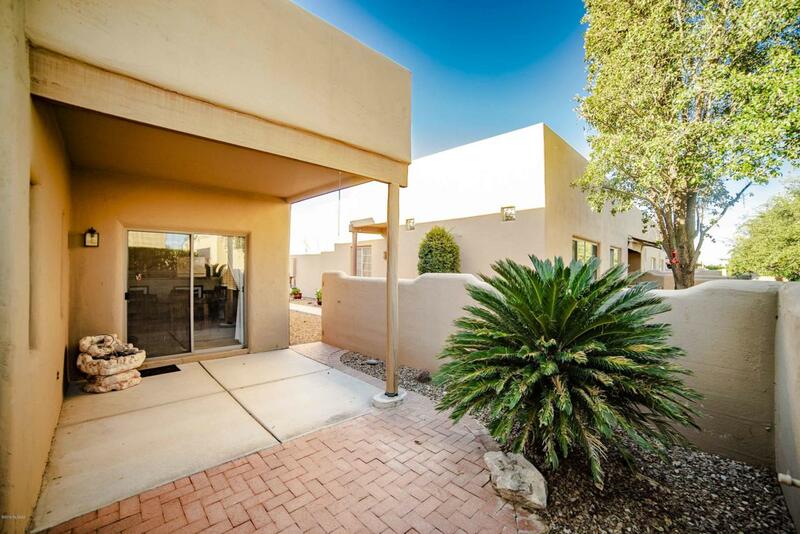 Located in the gated community of "The Springs" you will have access to a 1 mile community walking trail and one of the finest Green Valley Recreation Centers which is home of the clay studio, arts league, computer club and camera club.